At Lane Fertility Institute, Dr. Danielle Lane is a leading provider of fertility treatments. Dr. Lane and her clinical team, along with embryologist Stanislav Shekhovtsov work together to give each and every patient care and treatment uniquely tailored to their individual needs. 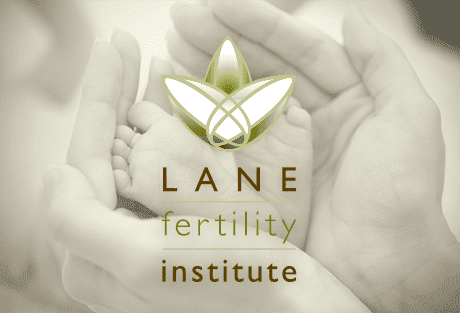 Lane Fertility Institute is committed to the success of our patients and to providing cost-conscious care. With their locations in San Francisco and Novato, California patients have choices on where they can be seen. Whether you are new to fertility or you are looking for more choices in your reproductive care, our team is excited to meet you. Lane Fertility Institute provides a wide variety of treatments ranging from basic fertility care to the most advanced in vitro fertilization (IVF) technology. If you have discovered a need for fertility services we are here to help you build your family. Contact Lane Fertility Institute today to schedule an appointment. I liked her the moment I met her. We have two beautiful girls (two different IVFs) because of her excellent work. Best decision I made in my life!!! "I liked her the moment I met her." "We have two beautiful girls (two different IVFs) because of her excellent work." "Best decision I made in my life!!!" Information from an expert about your ferility timeline. Tips on how to navigate through the holidays while coping with reproductive health issues. Lane Fertility Institute provides a wide variety of treatments ranging from basic fertility care to the most advanced in vitro fertilization (IVF) technology. We believe in what we do and make it our mission to help you grow your family! The field of In Vitro Fertilization (IVF procedure) and embryology is an ever advancing realm. We are excited to announce our newly renovated and "green" laboratory. Specifically designed as a clean environment for eggs and embryos, our facility houses state of the art diagnostic surgical equipment. Lane Fertility Institute is licensed by the State of California to store sperm, eggs and embryos, and to perform intrauterine inseminations (IUI procedure). In addition we are licensed by CLIA to perform blood and sperm testing as a High Complexity Laboratory. Our IVF laboratory is under the direction of Dr. Jianchi Ding, HCLG and maintained by Stanislav Shekhovtsov, PhD Candidate. To schedule an appointment, please contact us. Our patients come to us from Santa Rosa, San Francisco and The North Bay, Novato (Marin County) and neighboring locations. We continue to improve our clinical care by applying scientific advancements. The result of this is consistently high pregnancy and live-birth rates. A comparison of fertility clinic success rates may not be meaningful because patient medical characteristics and treatment approaches may vary from clinic to clinic. ART clinics in the U.S. are required by law to report outcomes to the Centers for Disease Control and Prevention (CDC). As with the majority of U.S. fertility programs, we follow the guidelines of the Society for Assisted Reproductive Technology (SART) in reporting success rates. Each year, SART and the CDC collect, compile, and publish clinic-specific data. Results are organized by state and procedure. The data also includes information on pregnancy outcomes, such as the rate of miscarriage, twins, and other multiple births. Click here to see our fertility clinic success rates for 2014. Please contact your physician for the most updated success rates. We welcome patients from Novato (Marin County), Santa Rosa, San Francisco, The North Bay and close-by locations. We contact with a limited number of insurance companies. When contracting with insurance companies, providers are often forced to increase their fees to ensure maximum reimbursement. We believe that this negatively impacts that majority of our patients who are without insurance benefits. Therefore, we have chosen to not take this approach. After doing the research, we can assure you that the majority of our patients benefit from our lower cash pay system. In addition, because of our unique patient care model, patients typically find that their care is so well stream-lined and carefully administered that their overall costs are still lower than what they “paid other places”. Questions? Call today and let us help with information about in vitro fertilization cost, IUI cost, fertility test for men, fertility test for women, genetic testing pregnancy or anything else you may need. Our patients come to us from San Francisco and The North Bay, Novato (Marin County), Santa Rosa and nearby areas. I would trust her with anything related to my health and can't recommend her highly enough. It worked...twice! She is direct and to the point. She immediately helped direct us with our options to take the best path for us. Definitely worth the drive and every penny on this very great doctor!! I highly recommend Dr. Lane and her team. They keep up to date on the latest techniques and will be honest with you about the process. I was initially nervous about the entire IVF process and they all made me feel much better and provided all the information I needed to stay calm. The entire staff was always very welcoming and cared about how I was doing. Most importantly, I am now pregnant because of all their effort.